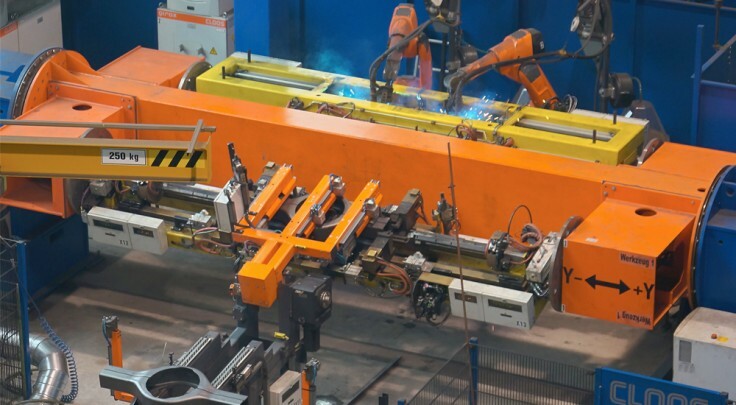 At their location in Linz, the steel specialist voestalpine weld drive axle casings for industrial vehicles with a chained CLOOS robot system. 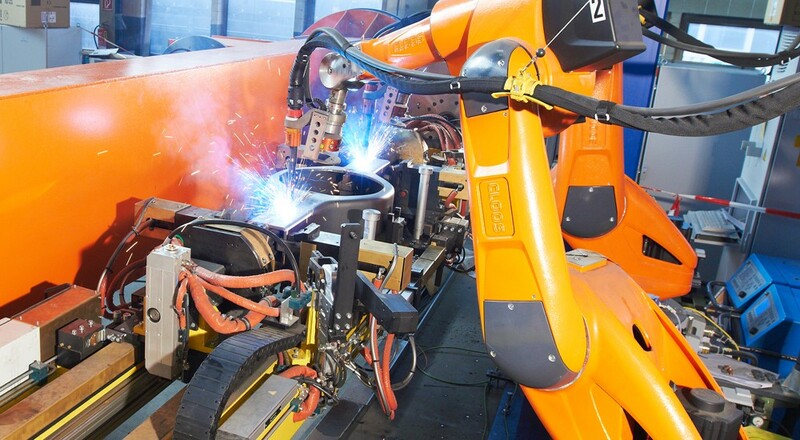 The complex system consists of four welding stations and seven robots in total. 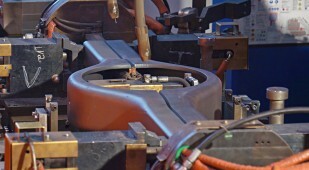 The axle casings are fully-automated moved from station to station by means of a shuttle system. 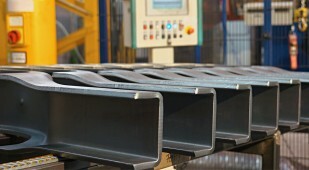 At the first station two QIROX QRC 350 robots weld the root passes to both sides of the axle casings. The two half-shells are inserted by an automated fixture. With a vertical rotation, the two-station positioner swivels the clamped axle case in the welding station. 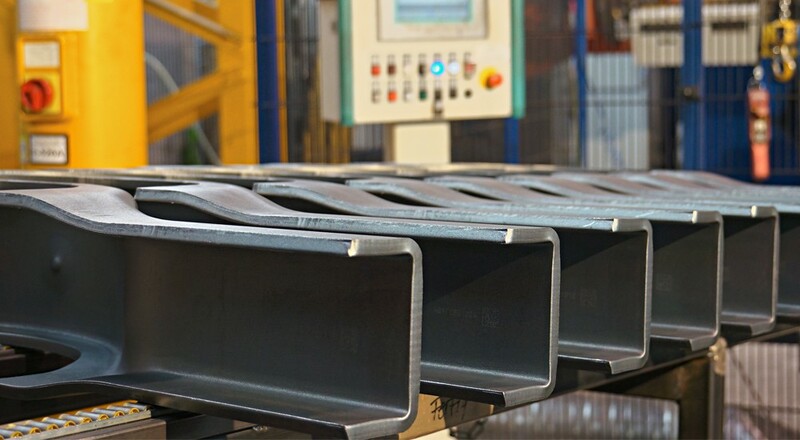 For perfect welding results the robots are equipped with a laser offline sensor which exactly measures the weld seam position and adapts the welding parameters accordingly. After these steps the shuttle system moves the completely welded axle case fully-automated to the next production station.